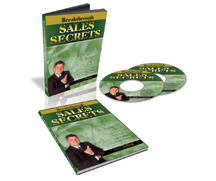 Get this NEW power-packed breakthrough course and learn how to diagnose your failing sales and predict your own sales success... real sales secrets that will work for you! In this breakthrough training course, you will discover how to examine your failing sales, so you can move your business to peak performance. What you will learn in this power-packed training will arm you to not only diagnose your failing sales, but help you predict your own sales success. 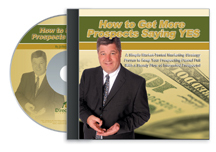 The strategies, techniques, and tools in this training course will truly become your secret weapon for curing your failing sales! It is now your time to move beyond the land of mediocrity and into the realm of predictive sales success. Now, I know you may be skeptical, but if you knew what I know about how to diagnose and cure failing sales efforts (it is all revealed in this course), you would already be a great sales success. Your investment in this training course is backed by our 365-Day Total-Satisfaction, 100% Money-Back Guarantee. What does this mean to you? This means you can get your money back if you are not 100% satisfied. In fact, you can go through the complete training course and even apply what you learn within your own business... putting what you learn to the test for the next year. After all that, if you feel you did not receive more value (including the education, tips, strategies, techniques, and overall experience) than you paid for this training course, we will refund your money. Simply return to us the complete course materials (including the CDs, workbook, and package) anytime within 365 days of your purchase of this course and you will receive a complete no-hassle refund.